So you started a new business, you are all pumped up about the compensation plan and your mind is spinning with the possibilities. A few weeks later you are having a tough time getting anyone to look at your business opportunity or you lose the excitement because it has become a struggle for you. If you instead become a product of the product it will become easier to explain and share what it is you are so excited about. Another great benefit of becoming a product of the product is if it is health related and people see you losing a bunch of weight they will ask you what you are doing. 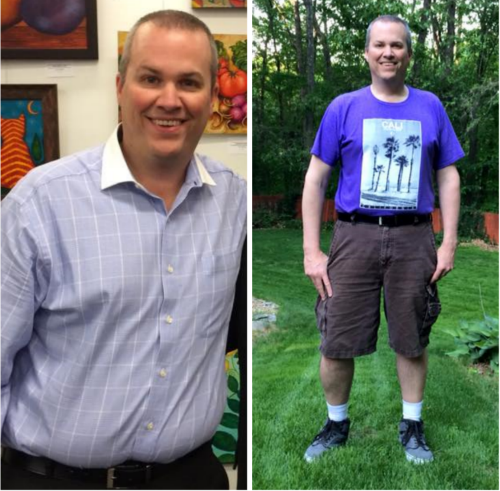 This is why I love the health niche so much, I needed to get healthy at the end of 2014 and since I have become a product of the product I am down 40 pounds so far and feeling like I am in my 20’s again. I am 46 right now. If you are not passionate about what you are promoting it will be very difficult to be successful and if you are not using the products you are promoting it will show in your efforts. When you have something that can help millions of people it is your duty to get the word out and when you are a product of the product you will find endless opportunities to do just that. Here is an example of just that, yesterday my Family and I were picking up our new vehicle and the sales manager needed to see my driver’s license to do the plate return on my old car. He looks at it and then looks at me and says wow these pictures always add pounds. I then say I was 40 pounds heavier in that picture, so he asks me how I did it. Easy to sell when you are a spokesperson as well. So the long and short of it make sure you are actually using what you are promoting and if you don’t like the products find something else you are passionate about. You will feel better and you will become more successful that way much quicker. If you are looking to lose weight and get healthy and earn some money check out what I’m doing. Thanks for stopping by and checking out my post on Become a Product of the Product.